Many parents today feel isolated from the school community and some parents also feel that it is not possible to reconcile the demands of school. It’s going to be a long time before the commitment is there to transform schools into community-oriented institutions. Parents should be welcome to come any time and sit in on classes. They should be asked to help with homework assignments and when there’s a problem, the school should call the parent at any time for the benefit of the child. er. And parents’ involvement will increase when the parents understand that education is as much their responsibility as the schools. The benefits of parental involvement also extend beyond the realm of literacy and educational achievement. Studies show that children whose parents are involved show greater social and emotional development, more resilience to stress, greater life satisfaction, greater self-direction and self control, greater social adjustment, greater mental health, more supportive relationships, greater social competence, more positive peer relations, more tolerance, more successful marriages, and fewer delinquent behaviors! It is therefore important that parents are aware of the significant contribution they can make to their child’s learning. When the school involves the parents you will find the child performing better. • School authorities should encourage parents to participate in parent-teacher conferences and functions, and respond to written communications from the class teacher. • Parents can also get involved in school by serving as school volunteers for the library or lunchroom, or as the classroom aides. • Parents can participate by joining Parent Teacher Associations and regularly attending meetings. • Parental involvement in their child’s education is the most important determinant of language and emergent literacy. Parents who introduce their babies to books give them a head start in school and an advantage over their peers throughout primary school. 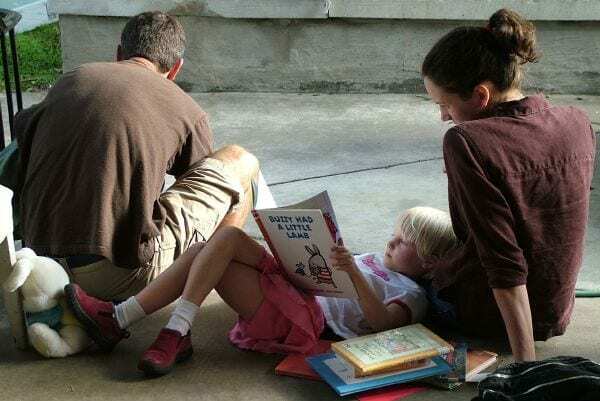 • Involvement of parents with reading activities at home will have a positive influence on reading achievement, language comprehension and expressive language skills, of the child. It will also improve the child’s interest in reading, attitudes towards reading and attentiveness in the classroom. • It is known that parental involvement has the greatest effect in the early years of child’s education, but its importance to educational and literacy outcomes continue into the teenage and even adult years.